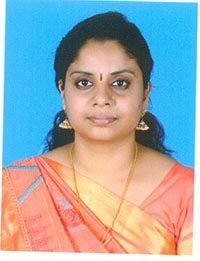 Rejani G.S is a Research Scholar in English at S. T. Hindu College Nagercoil affiliated to Manonmaniam Sundaranar University Tirunelveli, Tamilnadu.She holds a BA and MA Degree in English. And also possesses a Bachelors and Masters degree in Education. She has published three Books on English Grammer and Usage for Primary School Children. Her academic interests are Women studies, advanced educational psychology and Modern critical theories like Eco-criticism. Currently she is pursuing her research on Eco-criticism. She has been appointed as one of the Executive Council Members (ECM) of FSLE-India for its Tamil Nadu Region.